Doordarshan plans to launch Kids channel: Supriya Sahu. 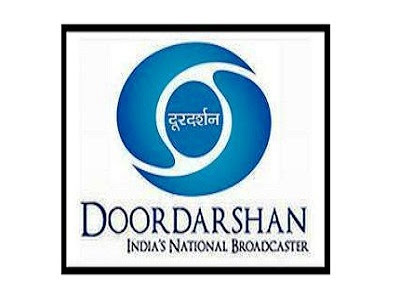 After nearly a decade back and forth, the children dedicated TV channel of Doordarshan, DD Kids will finally become a reality. The publisher is preparing the foundation of its new DD Kids TV channels in free to air mode this year. "We have not decided the date of market launch of the channel because a lot of background work needs to be done. We expect the DD Kids channel to launch in FY18," said Supriya Sahu DD CEO7. DD is looking to work with producers of content based on shared revenue. DD is searching for 1000 hours of content for its new Kid dedicated TV channel. "We are considering different models, such as the introduction of some programs, sharing programs based on time, or sharing shared revenue content." The content should be contemporary and deeply rooted in our ethics, "Sahu said. It also creates a group of experts in content that includes stakeholders in the industry. The focus group will help the publisher on the front of the content track their way. In addition to looking for content from private actors, DD also develops its own concepts. "We thought innovative concepts like DD Kids Conclave, we will also include content related to wild animals, Swachch Bharat, environment and climate change," said Sahu. He also said that the introduction of a DD channel for children would be a great opportunity for intellectual property rights in India. DD will also be linked with the National Center of Excellence for the animation, visual effects, games and comics created by the MIB in Mumbai. Sahu said a DD channel for children is an idea whose time has come. Worldwide, most public service broadcasters have a channel for children. "We have our basic work that we have prepared the concept paper that is in the talks with Prasar Bharati and the MIB (Ministry of Information and Broadcasting). The Prasar Bharati Council was sounded and very favorable to the idea," added She added. While the channel is still in a conceptual stage, Sahu said that the publishing house will not leave any stone to get the best content. Which also gave the confidence to DD to start the channel, it is the emergence of a dedicated platform of DD Freedish, which developed with speed, also its competitors a run for their money. "It will be an FTA channel and will be available on Freedish and all other private networks. This is the right time to move around the channel to Start, "said Sahu. While DD has a solid platform, she is looking for an equally strong content with a great quality of content for kids. "We have our own facility, we have our own platform, we are in terms of platform space, we need good content," he said. Sahu said that children are the third most common audience of kids channel after the general entertainment and movie channels, making it extremely critical for DD in this segment. "There is a demand for the free kid's TV channel for the children," he said. Meanwhile, DD has digitized it's 1,460 terrestrial analog transmitters. This allows the editor to provide 10 channels for consumers free of charge on their smartphone in 19 cities.